Fringed by Paris and Marseille, Lyon is located in east-central France. 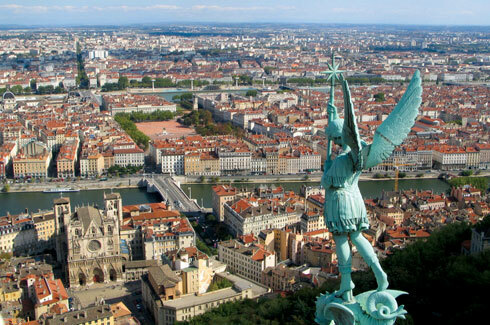 Commanding a strategic spot on the confluence of the Rhone and Saone Rivers, it is France’s third largest city. Shaped by its two rivers that run north-south, it is an archetype of a heritage city in the Rhone-Alps region of the French country. The combination of the cold winds blowing in from the eastern Alps and warm breezes that arrive from the south-east and Mediterranean Sea give Lyon a temperate climate. While January is biting cold, March to May is pleasant and rejuvenating. Autumn is probably the wettest spell and one needs to go prepared. Reflecting 2000 years of history, Lyon is a UNESCO World Heritage Site. The city knows how to put on a summer extravaganza with outdoor music filling the air and modern venues fit to dance the night away. Being a commercial, cultural and banking powerhouse it is also a gateway to explore multiple whispering vineyards. 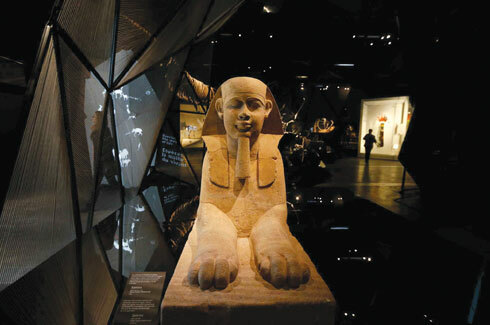 After Istanbul, LA, Paris and Marseille, Lyon has its own Mama and its own Shelter! The Mama Shelter is a boutique hotel created with the intention of offering a unique, chilled-out, romantic and interactive place to stay. A Mama Shelter in the centre of France is a strong symbol. 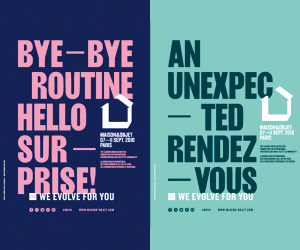 Imitating Lyon’s image of being a melting pot of various cultures and ethnic groups, the hotel brings along with it a cultural diversity, wind of freedom, smile of humour and a kiss of love. 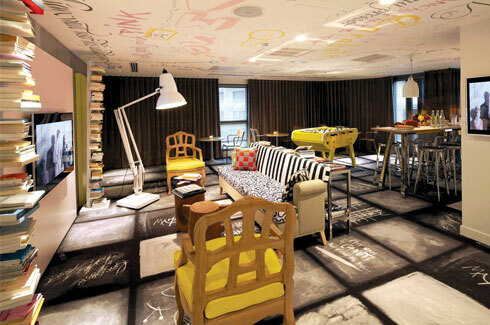 Mama Shelter Lyon features 156 bright and comfortable rooms. Each space has a surprise element attached to it. The reception area appears like a psychedelic basement featuring a stark black reception desk with a sledge shaped bench to welcome guests. Additionally, the reception area, bar and restaurant ceilings sport a charcoal black paint in a matt finish with random artwork and graffiti inscriptions. 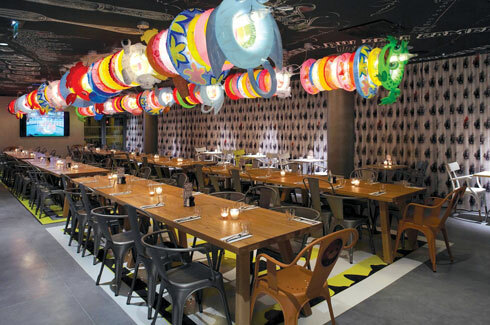 The restaurant and bar are backed by a pop art character; the bright and bold furnishings, walls and multi-coloured water tubes that lie suspended from the ceilings just add to the overall scheme. 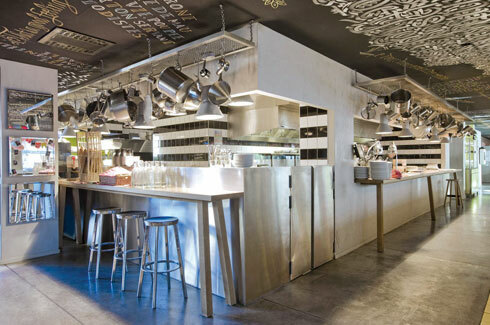 Large tables, cocktail bars and open kitchens invite you to participate in culinary magic. The meeting rooms, recreational spaces and library have an absurd sense of perfection in the random combination and arrangement of objects. It is not just a hotel – it is a way of life! 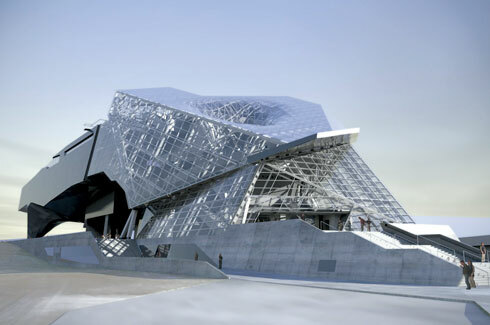 Sitting on a man-made peninsula at the confluence of Lyon’s rivers, the Musee des Confluences’ form was a response to a desire to maintain pedestrian movement across the site. Designed by Coop Himmelb(l)au the museum was envisioned as a medium for transfer of knowledge rather than a mere showroom for products. The team developed a structure consisting of three key parts – The Crystal, The Cloud and The Plinth. This divided up the exhibition spaces, public entrance and auditoriums and workspaces. Named after its crystalline glass structure, The Crystal houses circulation spaces. A spiral ramp leads to a bridge pathway that offers access to various exhibition spaces. These galleries are contained within the steel-clad section of the building called The Cloud. Both these sections sit above the reinforced concrete plinth housing two auditoriums alongside a series of educational workshops and technical spaces. The public plaza directly beneath the elevated entrance hall has a small pool that reflects the underside of the building’s reflective skin. 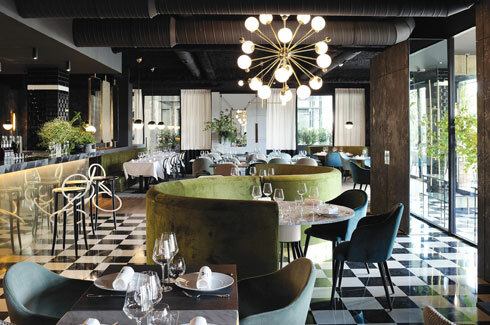 Between city and countryside in Chaponost, LaForet Noire has been revealing it’s luxurious, elegant and Art Deco flavour to the city of Lyon. 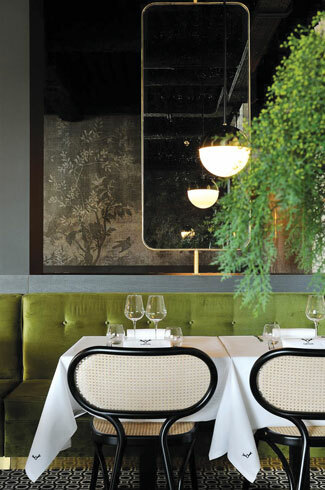 Playing on the contrast of materials, shapes and colours, the brass and green velvet chairs, crafted out of steam moulded beech wood define wide seats and ergonomic backrests while the ‘Midsummer Night’ wallpaper sets the tone. The retro atmosphere embellished by cane is accentuated by a black and white marble floor that underlies a graphic game. Sinuous bar stools are fitted with the most unexpected of bases and an interpretation of natural colours and lights is further highlighted by a Waltz Coat Rack. Behind large black oak doors, foliage floods the ground in the form of a very colourful and daring carpet, inviting one in to enjoy a complete experience. Spanish footwear brand, Camper opened its doors in Lyon with an interior inspired by what we use shoes for – walking. Accentuated by lines running all over the place, a red blueprint forms the Camper model world of walking within the store. While the shop is filled with the illusion of walkable spaces with graphic line drawings of staircases, ladders and stepladders covering the walls and floors, the black, white and red achromatic colour scheme not only brings out the products but also makes a compelling statement on a playful sentiment. Stairs form display stands for shoes and are outlined in bright red to merge with graphic lines printed on the surrounding walls such that the stairs seem to go on forever. More shoes are displayed on recessed steps and the highest shelves can be reached using mobile blocks of yet more steps! The ‘pret-a-porter’ designs can be moved throughout the store, adding to the place’s mixed sense of perspective.